Ok cat lovers, wherever you are….today’s blog has been written with you in mind. Have you ever wondered why people chose cats over dogs? Two of the top reasons cats are preferred over dogs by so many people is their independent spirit and their low decibel level. So it’s no wonder that the Dalai Lama has been smitten with a kitten. A feline fits much better into the serenity picture than a canine. After all, a fulfilling life for His Holiness is a peaceful co-existence with the world and a purring kitty indicates supreme contentment. A canine just wouldn’t cut it with Buddhist traditions. Interruptions in meditation would be too frequent having to let a dog in and out, whereas cats are self-sufficient. Furthermore, a yapping dog breaks the silence and concentration required to live the lifestyle revered by monks. There are two books that are hitting the top of the sales charts about the Dali Lama. 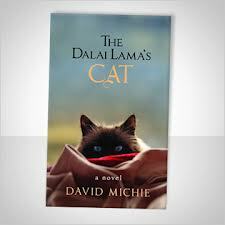 The Dali Lama’s Cat is written from the perspective of an animal describing what it is like to be the pet in residence. Greeting dignitaries and always having to be on guard and exhibit good behavior is of utmost importance. 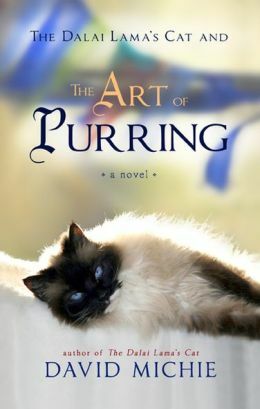 Many readers are also curling up with a second book by David Michie called The Art of Purring. In this publication, His Holiness’ Cat enlightens the reader and shares wisdom about what makes for happiness and everlasting contentment. Both of these books are good reads. Anyone who is interested in learning more about the spiritual ways of the Tibetan people, and how the relationship between mankind and feline is harmonious and satisfying will enjoy these books. Do return to All Things Fulfilling tomorrow. I am going to share with you a blogsite that will be chronicling a journey of a group of people who have begun their travels to Tibet to gain insight from their first hand experiences on the meaning of personal fulfillment. Thank you for your comments and do return to All Things Fulfilling.